Do I have to go to court to get a divorce in Florida? You usually do not have to go to court to obtain a divorce in Florida, but some courts require a final hearing for 5-15 minutes for basic testimony to establish jurisdiction. You may hire an attorney to handle your divorce/dissolution of marriage as an uncontested case. Attorney Jacobs can prepare all of the divorce paperwork for you to save you time, money, and all of the fighting that often comes with a divorce. A no fault divorce in Florida means that neither party has to prove the other party is at fault. The standard for divorce in Florida is that the marriage is irretrievably broken. Marital infidelity does not need to be proven. What are the requirements for divorce in Florida? 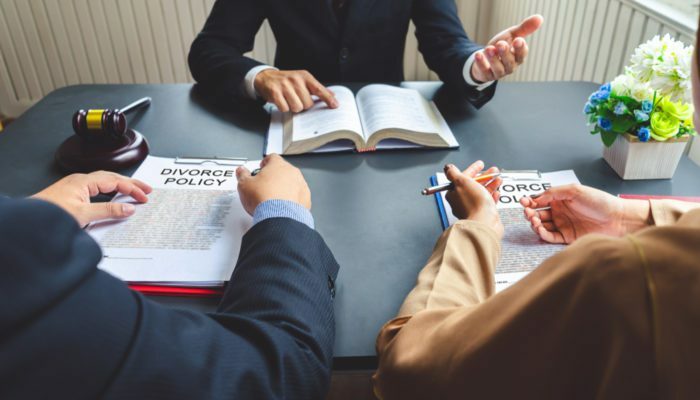 The requirements for divorce in Florida are that one party must have lived within the jurisdictional/geographic limits of the State for at least 6 months prior to filing for divorce. We can state in our Florida divorce FAQ that irretrievably broken in Florida is a low threshold standard that is rarely disproven or disputed. How does the court determine if I am a Florida resident? Generally speaking (there is not definitive/bright line answer for every court that we can definitely state in our Florida divorce FAQ), if you are an individual that has lived in Florida for at least 6 months, but have been temporarily sent to another state for work, or have taken a vacation sabbatical for a short period of time, the court will likely decide you maintain a Florida residency for family law jurisdictional purposes. Alternatively, if you have relocated your residence to another state, signed a lease to stay in Texas or North Carolina (for example), taken a job in another state, and no long have a mailing address or license in Florida, it is likely the court will deny you standing to sue in our State. The length it takes to get a divorce in Florida depends on the degree of litigation (number and extent of issues being litigated/contested) in your case. 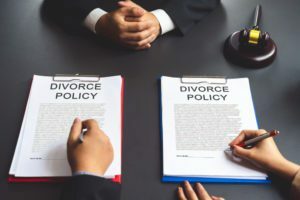 The Jacobs Law Firm offers uncontested divorce legal services whereby the parties agree on all of the issues before the court before trial, and a final order can be issued effectively ending the case at that time. An uncontested divorce generally requires 1-3 months of time, depending on the rapidity of the agreements reached and the availability of the judge’s time to hear the facts of your case. However, if the case is contested, and disagreements remain as to custody, child support, timesharing, alimony, and how to divide marital assets and liabilities, some cases take more than a year, while at a minimum, 4-6 months of time may be required for the parties to reach a resolution. You may expect that preparing a majority of your initial divorce documents may require approximately 1-3 weeks depending on the extent of your legal issues under consideration. Jonathan Jacobs is a Lake County Florida Divorce Lawyer, and a Divorce Attorney in Orlando Florida who enjoys working with families to resolve their legal issues. Call today for a consultation to understand the divorce process beyond our Florida Divorce FAQ, and find out your rights as a litigant.